Silly as it may seem, this blog can be a testimony that I truly adore going to museums. This is especially true during my out-of-the-country journeys and adventures. My trips abroad would usually have at least a day spent at a museum. Me and my friends would usually call it “the cultural day” segment of the adventure. This is the time when I would further immerse myself to the abundant culture, beautiful art and rich history of those far away cities. What is so strange and striking is that I actually have not gone to the very national museum whom I consider my own. 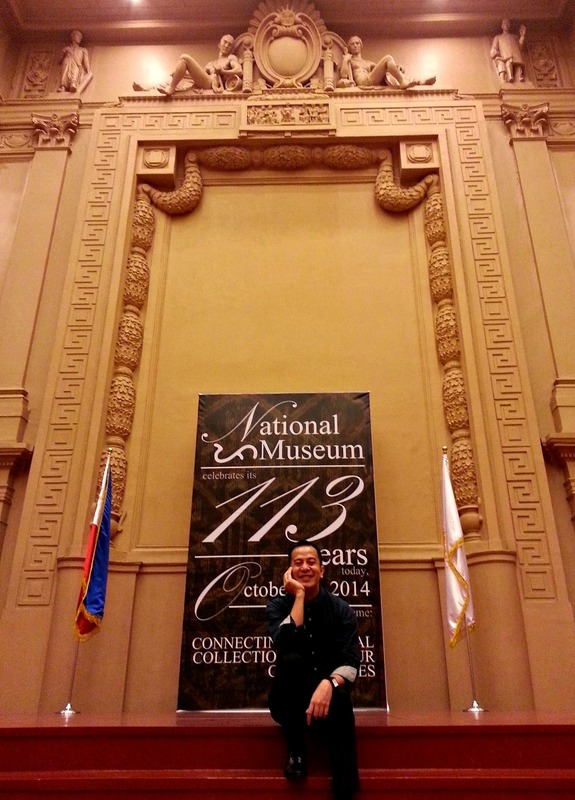 The very museum that features my nation’s culture, my nation’s art and my nation’s history. The very museum that does not need an airline ticket to visit but just a 10-minute taxi ride from my place of stay. Thankfully, this strange and striking irony has been resolved. 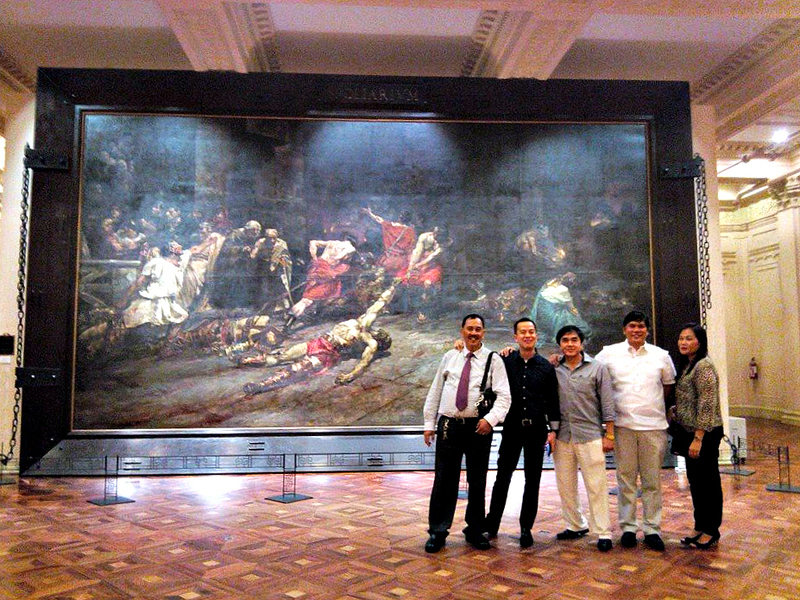 This is because I have been to the National Museum of the Philippines Thursday night to attend an art exhibit. The one of three domains of the museum that I particularly have been to that night was the main and the grandest domain, the National Art Gallery. 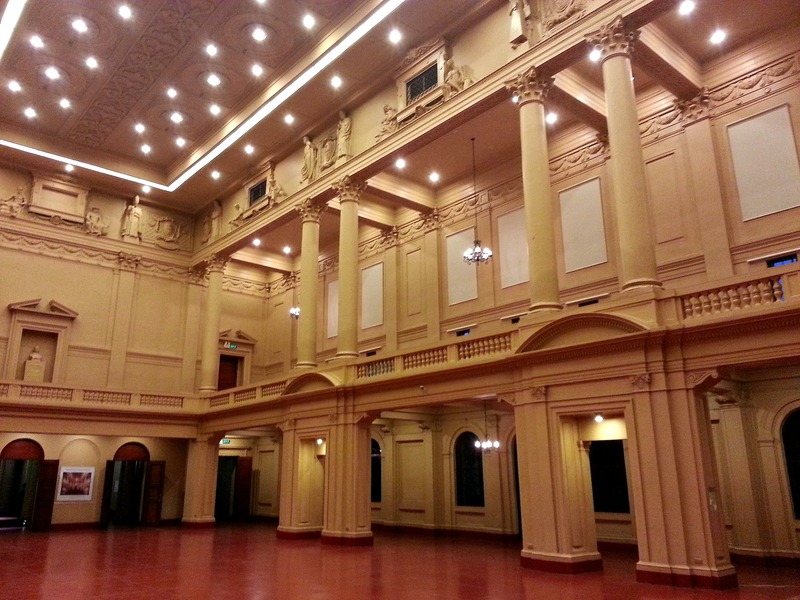 The other two components (The Philippine Planetarium and The Museum of the Filipino People) of The National Museum are housed in an equally splendid buildings. Being inside the building of the National Art Gallery already evokes some exquisite emotion. 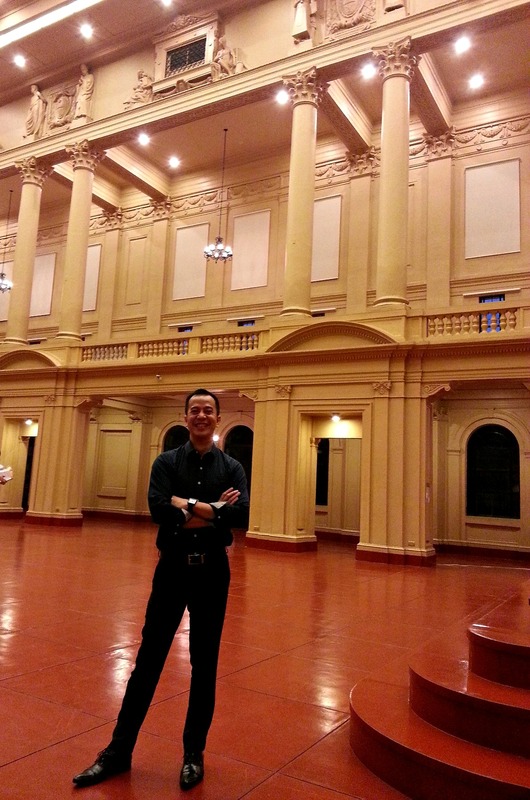 I was like being transported through a time capsule to the grand and auspicious era of the Philippines. The feeling was like being inside a gorgeous art piece, breathing with it and being part of it. 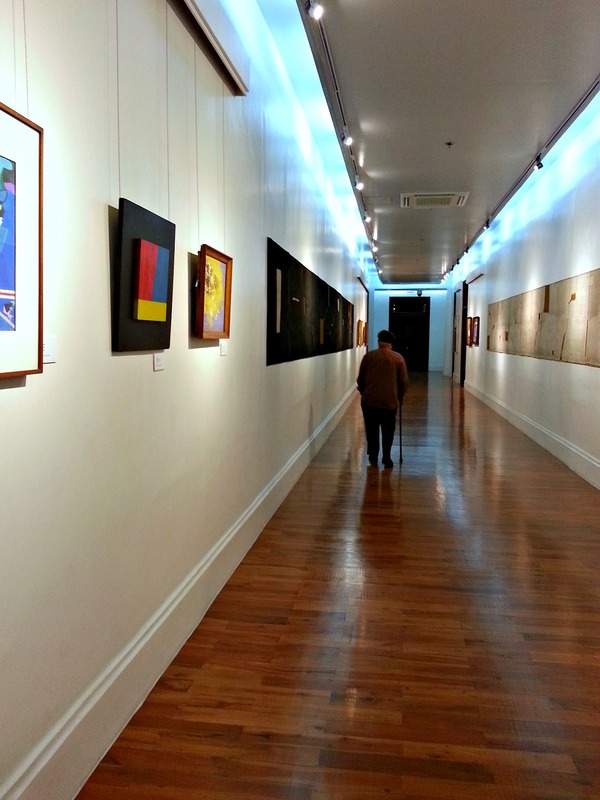 the hallway leading to the dimasalang exhibit. that man is f. sionil jose the national artist for literature. Before and after the program formalities of the beautiful art exhibit I attended (housed in one of the glorious galleries of the building), I and my colleagues got the chance to view the other galleries of the museum. Museum directors graciously opened all galleries in all floors of the whole museum that night for all event attendees of the art exhibit to see and appreciate! The night time ambiance with impressive lighting mood inside the museum galleries further add up to the already massive emotions I was already feeling. Aside from the penetratingly dramatic Spoliarium painting by Juan Luna and the massive yet gentle looking Diwata sculpture by Guillermo Tolentino, I will not be posting any photo of the art pieces on display. It is because I want you to go there and experience the same emotion I had. I never knew how rich, magnificent and stunning the Filipino-made art pieces were until last night. Those precious works of art were so beautifully intense it felt like those were interpolating divine messages directly towards me. The visit to my National Museum was an outstanding buffet that fed my soul to the brim. It was no doubt an invigorating assault to my senses! 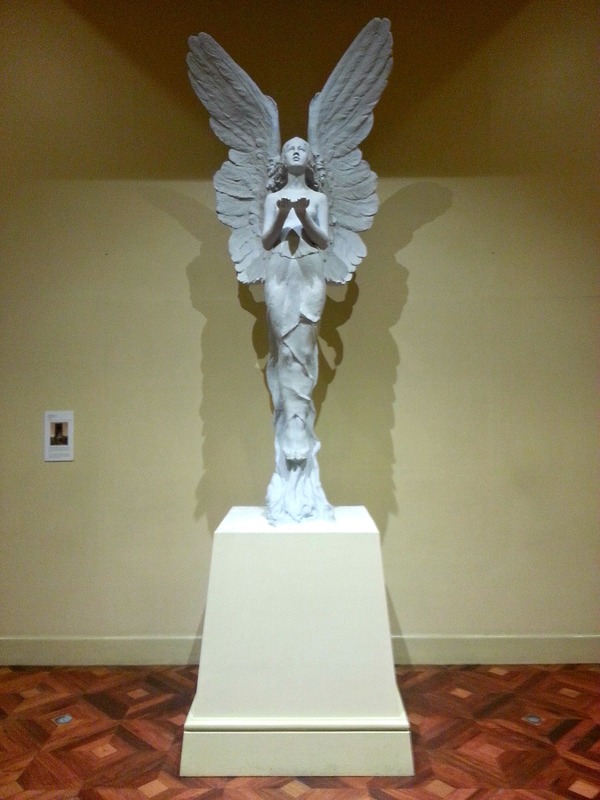 The National Art Gallery of the National Museum of the Philippines is open Tuesdays to Sundays, from 10:00 AM to 5:00 PM. Its free admission on Sundays. Grabe, parang wala ako sa Maynila!